Credit Bullies: A Collection Agency Damages the Credit of Southern Californians With "Phony Bills"
A major collection agency damaged the credit of Southern Californians who say the company was trying to collect on phony medical bills, according to an NBC4 I-Team investigation. Fidelity Creditor Service of Glendale has been trying to collect from patients of a Los Angeles hospital that closed four years ago, and has been reporting to credit bureaus that these former patients are “past due” on bills the patients say were paid off years ago, the I-Team found. Stephanie Dittus of Los Angeles says she got a phone call from Fidelity saying she owed over $1,800 from a visit to the emergency room at the now-shuttered Century City Doctors Hospital four years ago. “My bill was totally paid,” Dittus said. Dittus provided documentation to Fidelity that showed that her insurance paid for the ER visit. 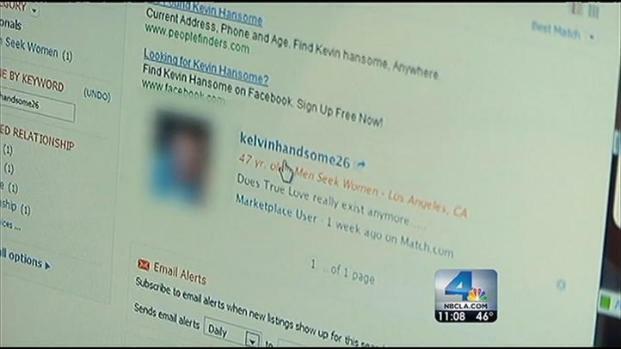 Women are taking their lives -- and their money -- into their own hands using advice from an NBC 4 investigation into online-dating scams. Joel Grover reports. Yet Fidelity reported to two national credit bureaus that she was “seriously past due” on her bill to Century City Doctors Hospital, damaging her credit. Fidelity’s attempt to collect from her were “totally a scam,” Dittus said. Have a tip for Joel Grover? Email nbc4iteam@nbcla.com or call 818-520-TIPS. 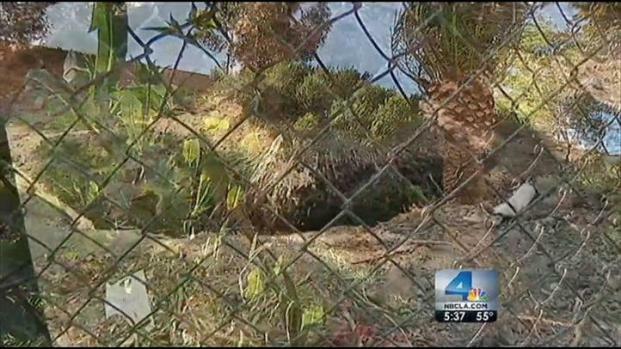 A local nonprofit slapped with a $450,000 lawsuit for removing palm trees from an LA freeway won't have to pay a cent in damages, leaving taxpayers to foot the bill for damages caused by the removal. Joel Grover reports. Century City Doctors Hospital went bankrupt and closed in August 2008, and Fidelity was eventually hired to collect past debts. Now, numerous former patients say Fidelity has damaged their credit with no good reason. As a result, all these consumers say they’ve suffered big consequences. “I couldn’t get a mortgage at all,” said Tara Radcliffe, who went to the ER at Century City Hospital in 2008. Radcliff, who works as an actress, says she paid the one bill she received for that visit. “Fiscally I am incredibly responsible,” Radcliffe said. Last summer, Radcliffe said, she got a call from Fidelity saying she still owed for her 2008 visit to the hospital. At the time, Radcliffe was about to make an offer on a condo – her credit was perfect, she said. But her mortgage broker told her she wouldn’t qualify for a mortgage because Fidelity had put a negative comment on her credit report, saying she was “seriously past due” on a $6,200 bill from Century City Doctors Hospital. “I was livid,” Radcliffe said. “I think they are trying to scare people into paying a debt…that isn’t technically a debt. The head of Fidelity Creditor Service, Clint Sallee declined to be interviewed, saying the company “does not comment on “pending matters.” But Sallee did say he knew the I-Team was investigating his company, and that they’d now stopped trying to collect on debts from hundreds of patients of Century City Hospital. Consumers do have recourse if they think a collection agency is trying to collect on a phony debt, said Ambar Carvalho, an attorney with the US Federal Trade Commission. Carvalho also urges consumers who think they’re being harassed by collection agencies to complain. “I’d recommend to a consumer to complain to as many agencies as they can,” she said. Dozens of patients of Century City Doctors Hospital filed complaints with the Better Business Bureau, and then posted their gripes on consumer websites, urging others with similar stories to contact the NBC4 I-Team. Both Radcliffe and Dittus said that after Fidelity learned of the I-Team investigation, the company deleted the negative remarks it put on their credit reports. But they are concerned that the problem persists and others might find their credit damaged. “I feel that they (Fidelity) are targeting people who have good credit and they know they can hurt the worst,” Radcliffe said. Complaints to the Better Business Bureau might end up hurting Fidelity Creditor Service. The bureau told the NBC4 I-Team that because of the high number of complaints its received about Fidelity, the collection agency may no longer be eligible for membership in the organization.